With the ‘PCI Compliant’ Infinity Data ecommerce payment gateway you can accept virtually any credit card, debit card or check at your website’s point-of-sale. More and more businesses and consumers are taking advantage of the speed and convenience of shopping on the internet. To stay competitive and expand eCommerce sales, your company needs an online solution that allows your customers to quickly and efficiently pay for purchases whenever the impulse moves them, day or night. Infinity Data has the experience, equipment and support to set you up with an easy ecommerce payments solution using the system that’s appropriate for your business plan – no matter what the size. Infinity offers numerous methods of direct payment processing for your web projects and apps. From custom integration portals to linked off site payment forms, Infinity Data offers a full range of solutions. Have a Web Site Shopping Cart? Infinity Data can work with you to assess the effectiveness of your existing Shopping Cart and integrate the Infinity Data eCommerce Solution to fit your needs. Need a Web Site Shopping Cart? 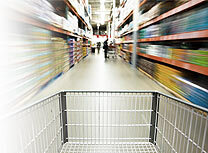 Infinity Data will work with you and help you choose a shopping cart application that best supports your needs. We have solutions for all the popular cart applications, including Magento, Woo Commerce and more. To learn more about the benefits of working with Infinity Data call toll free: 1-866-746-8931.